Another plushie I made that does not require any sewing! 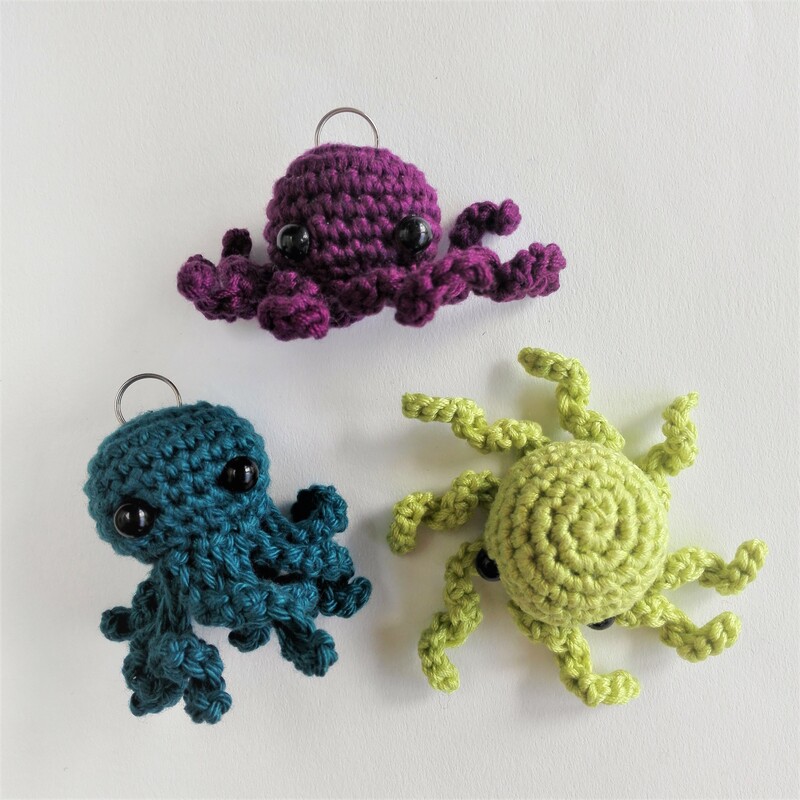 You can use any yarn, as long as you use the right hook size. Here is how to find the right hook size for your yarn. 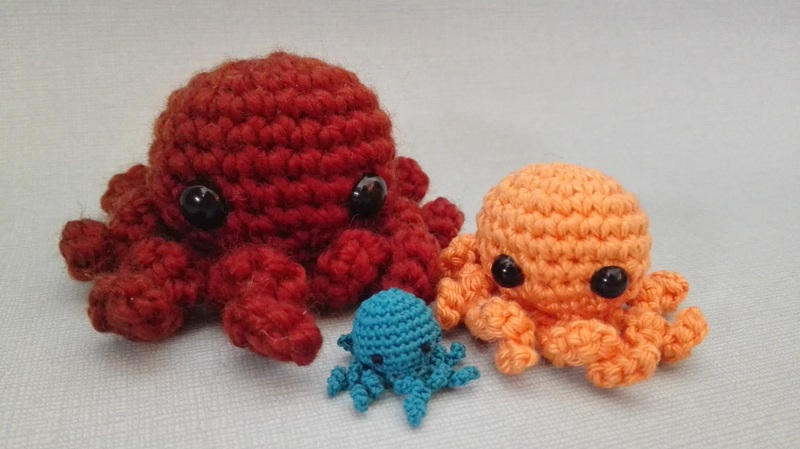 For the orange one (keychain size), I used cotton yarn, a 2.5mm hook and 6mm safety eyes. This plushie is worked in continuous rounds. If you don’t understand how to make row 10 and 11 (the tentacles and bottom), here is a video explaining that part.